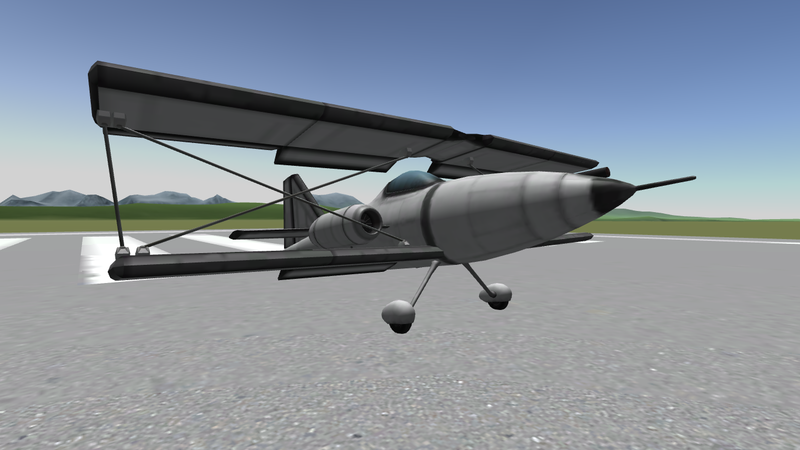 A small, lightweight biplane designed for maneuverability and intermediate to advanced aerobatics. 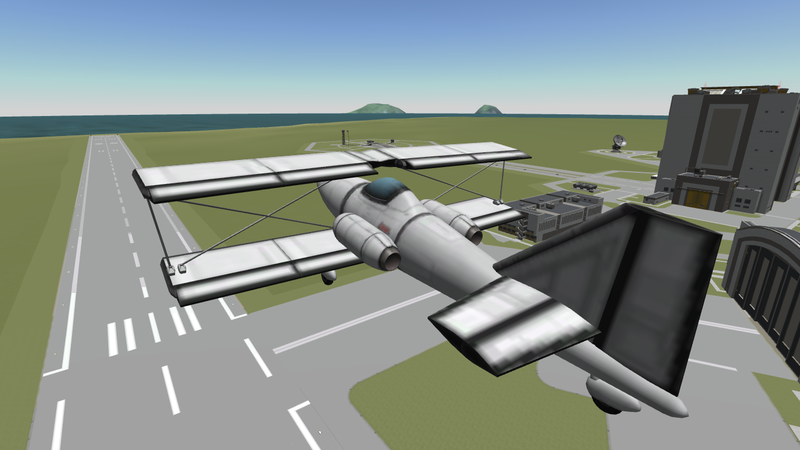 Loosely based on the real life Pitts Challenger III. Thrust-to-weight is just over 1. Action group 1 for Flaps. 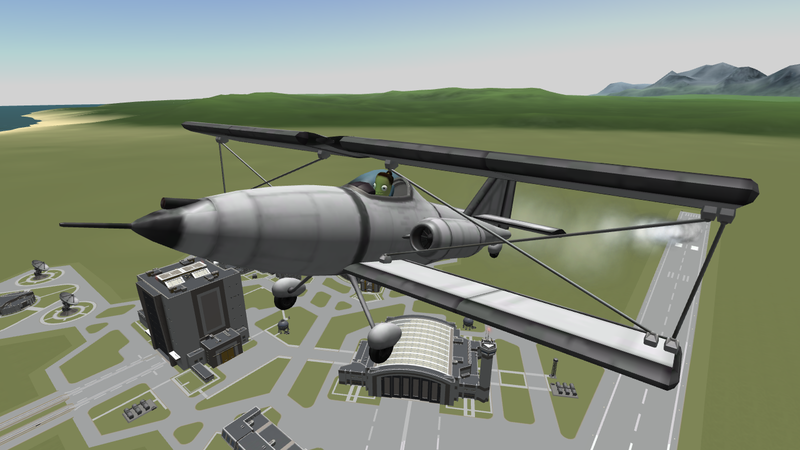 This plane can be very capable in the hands of an experienced pilot. It excels in high-energy aerobatics, examples of which are seen below. Tip-stalls and spins are a rare occurrence, and high-alpha low speed flight is a breeze.